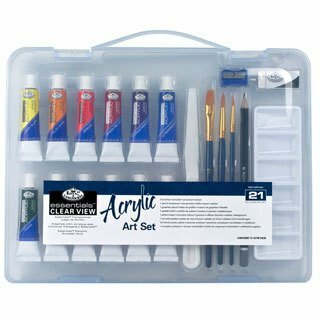 Each Royal® & Langnickel acrylic painting set includes 12 colors of acrylic paint, 3 brushes, accessories, and a convenient, clear carry case. 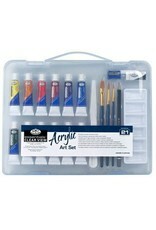 Each case measures 12 x 9 x 1 inch for easy travel and storage. 21 pieces per set. 1 set per package.